By the early ‘80s the Prophet 5 and Oberheim OB series dominated the polyphonic synthesizer market, with no end in sight. And so when it entered the fray in 1981 the Jupiter-8’s overwhelming success took everyone by surprise. The secret to its popularity was that it sidestepped its competition by bringing something new to the public. The Jupiter-8 was a very versatile sound creation device; it could generate fat or crystalline sounds with equal ease. In fact, the Jupiter-8 sounded the way it looked: sleek and polished. 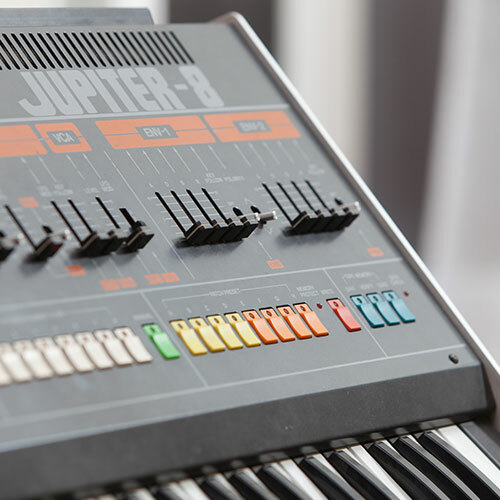 The electro-pop community was quickly drawn to the qualities of the Jupiter-8. 'Relax' by the group Frankie Goes to Hollywood was produced incorporating a Jupiter 8, and players such as Vince Clarke, John Foxx, and Martyn Ware were also using it. The path to the classic status of the Jupiter began there. 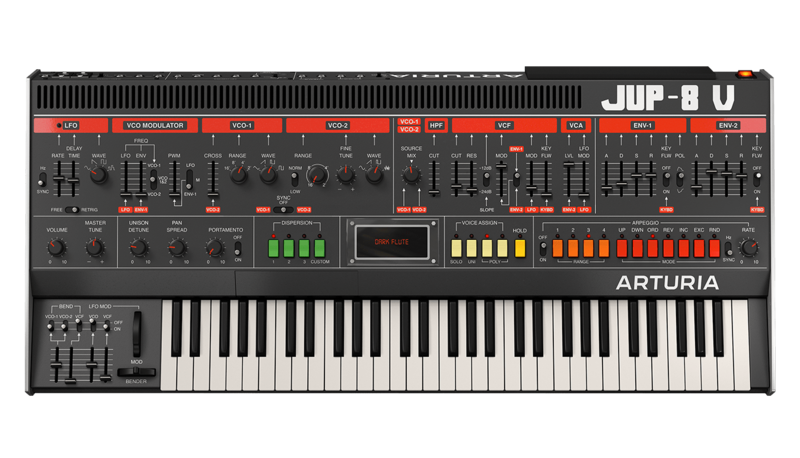 Other artists that have used the Jupiter-8 include Tangerine Dream, Underworld, Jean-Michel Jarre, Depeche Mode, Prince, Gary Wright, Adrian Lee, Heaven 17, Kitaro, Elvis Costello, Tears for Fears, Huey Lewis and the News, Journey, Devo, Freddy Fresh, Simple Minds, Jan Hammer and BT. The reputation of the Roland Jupiter synthesizers is rooted in their unique voice architecture and design. For many musicians no other synths in the world can create analog sounds as powerful and unique as these. The Jupiter-8 offers a very interesting combination of a high-pass non-resonant filter and a low-pass resonant filter. The arpeggiator and the keyboard split make it a remarkable performance keyboard. Fast envelopes and precise oscillators confer to the Jupiter-8 its famously versatile sound. For serving up fat brass and smooth strings, biting basses and soaring leads, bells and whistles (literally), the Jupiter-8 carved out its own sonic turf, emerging from the synthesizer wars as a legend in its own right. With Jupiter-8V Arturia brings back this magic while adding a new generation of features, opening the way to a unique and contemporary sound palette. For example, the Galaxy module allows you to choose from different LFO types and intertwine them into a single unique modulation source, providing a constantly evolving element for the sound of Jupiter-8V. The Jupiter-8V step sequencer allows fascinating rhythmic patterns to be generated easily, which can then be used as an assignable modulation source to control various sound parameters. Jupiter-8V has a suite of creative effects that can be inserted into the signal path for each voice independently. 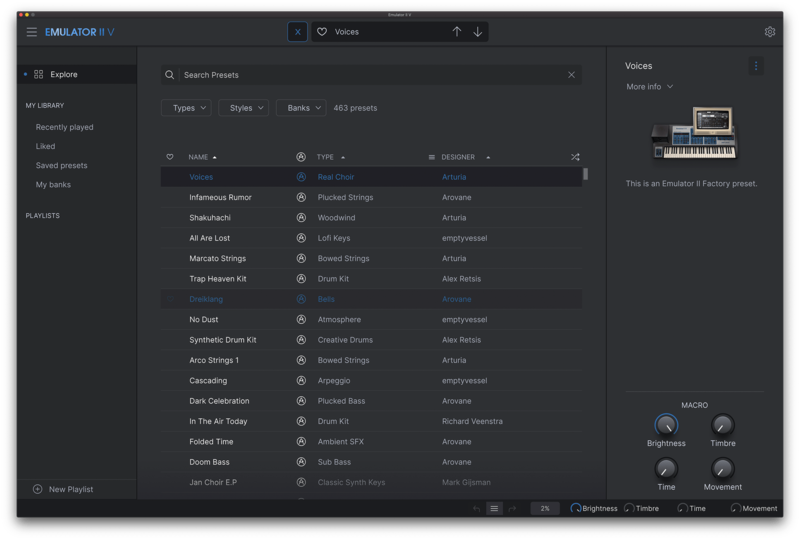 Key parameters in each effect can be modulated by the sources you select, adding an entirely new dimension to the subtractive synthesis found on the original Jupiter 8.